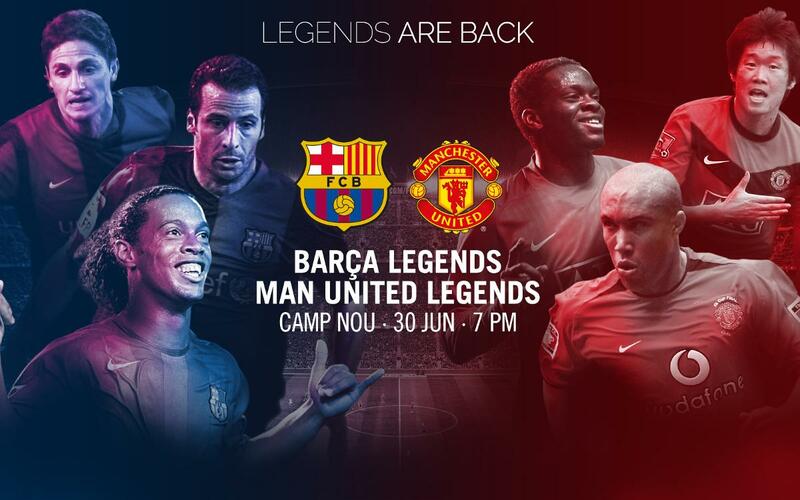 This Friday at 7.00pm CET, the Barça Legends take on the Manchester United Legends in their first ever appearance at the Camp Nou. And the whole thing is being streamed live on Barça Video for registered users – not just the game but also the build-up to what promises to be a fun-packed evening involving some of the greatest players to have worn the famous blaugrana jersey in recent years. Ronaldinho, Patrick Kluivert, Rivaldo, Ludovic Giuly, Juliano Belletti, Gaizka Mendieta, Edgar Davids, José Edmílson, Gica Popescu, Gullermo Amor and many more feature in the team coached by José Mari Bakero. And there are some big names lining up for the Red Devils too, including Berbatov, Ji Sung-Park, Silvestre and Louis Saha. It’s a must-see for Barça or United fans, and for football fans in general, and you can watch it all here – all you have to do is register as a Barça Video user and sit back and enjoy the game!